This is it! In 24 hours Disney will unveil the official movie poster and final trailer in our wait to witness the true rise of the Rebellion! Rogue One’s last and latest trailer will feature the familiar faces that we have been slowly introduced over the months in our short glimpses of the galaxy far, far away’s past, while at the same time gives us the typical limited introduction to what seems like an ever-growing list of new characters. 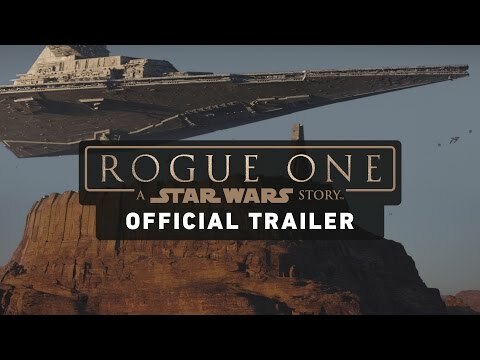 Rogue One: a Star Wars Story takes place immediately before the events of Star Wars: A New Hope, and follows the rebels as they mobilize against the Empire’s new (and yet all too familiar in this world) super weapon, and promises to be one of the grittiest and “realest” Star Wars movies to date. Sources have reported that Rogue One will conclude with the Empire’s chase for the stolen Death Star plans aboard Princess Leia’s fateful Tantive IV. Kill some time while you wait with the official trailer below, and check back in 24 hours to find the final preview in the Rogue One countdown!